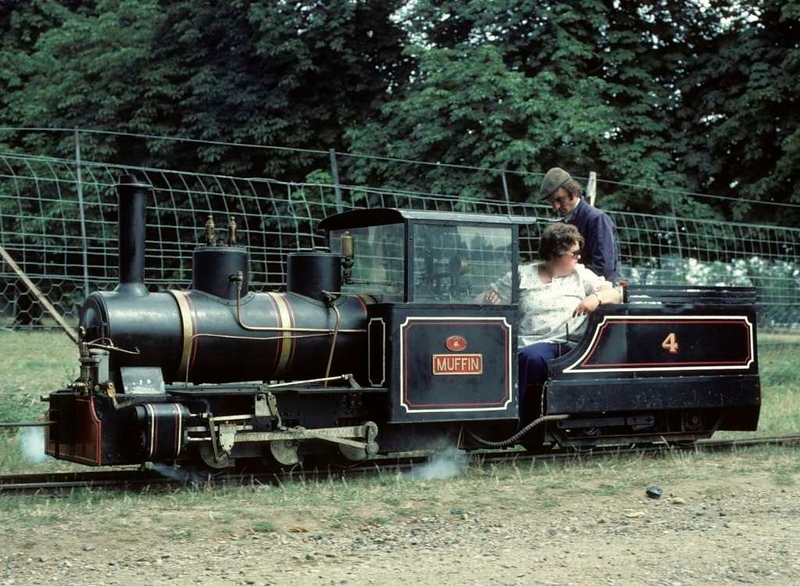 No 4 Muffin, Knebworth Park & Wintergreen Railway, 25 July 1976. 15 inch gauge 0-6-0 built by Berwyn Engineering in 1967. At the time of this photo it was owned by the Axe & Lyme Light Railway, Combpyne, Devon. In 2018 it was at the Lappa Valley Steam Railway, Cornwall. Photo by Les Tindall.